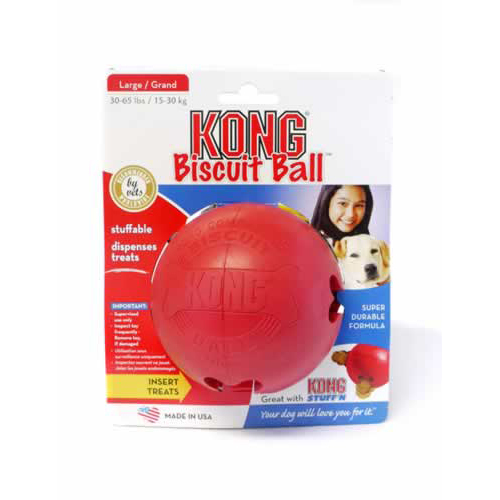 Thick natural rubber ball with bone-shaped ports to hide all shapes of treats, biscuits and chews. This keeps a dog playing for hours as they try to get the items out of the large biscuit ball and promotes good behaviour by keeping your dog entertained and mentally stimulated. 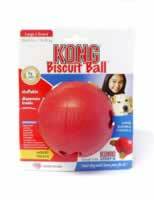 Small KONG Biscuit Ball also available.